Imagine never having to lift a finger during your luxurious Las Vegas getaway. That’s what the service team at Green Valley Ranch is here for. Whether it be the VIP front desk for that private check-in experience, the personal butler concierge who will take of your every request, or the VIP suite attendants who service your room twice daily, nothing can help you relax more than a Green Valley Ranch Villa Suite experience. Ever wondered what it would be like to have your own private villa? Our Villa Suites allow you to find out once and for all! 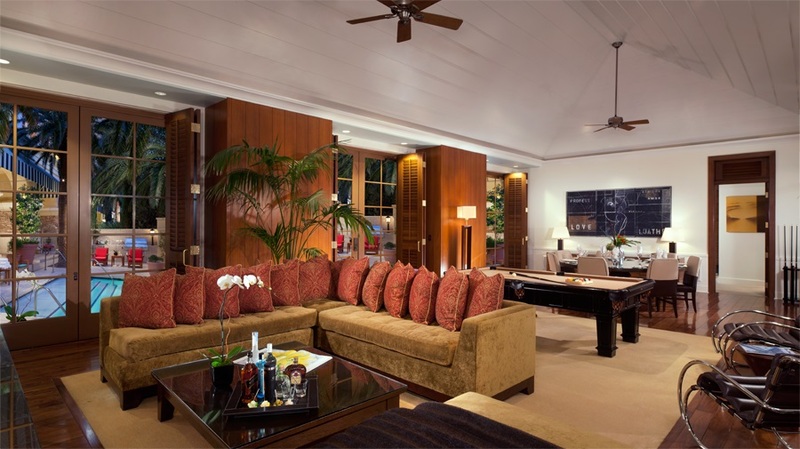 This impressive two bedroom suite features 2.5 bathrooms and 2,500 sq. ft. of impeccable indoor living space featuring a 74-inch LCD TV, a high-end kitchen featuring a stove, a refrigerator and a dishwasher, a powder room, a pool table, an eight-person dining table and a work desk with two-line phone and internet connection. Designed in understated yet luxurious décor for the ultimate in luxury, each of these two bedrooms suites features it’s very own 2,250 sq. ft. private courtyard with temperature controlled plunging pool, gas barbecue and wet bar and a private courtyard patio for each bedroom. 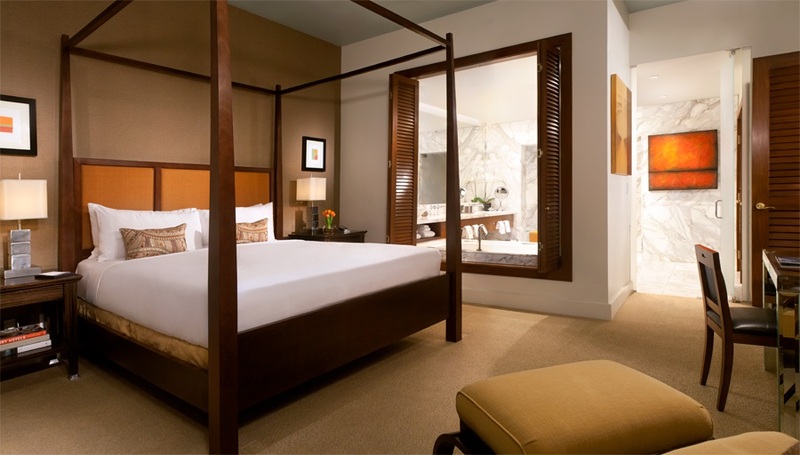 Imagine never having to lift a finger during your luxurious Las Vegas getaway. That’s what the service team at Green Valley Ranch is here for. Whether it be the VIP front desk experience for that private check-in experience, the personal butler concierge who will take of your every request, or the VIP suite room attendants who service your room twice daily, nothing can help you relax more than a Green Valley Ranch Villa Suite experience. Step into the bedroom and you’ll find plush down duvets and pillows with ultra-soft, 320-thread-count Egyptian cotton linens that will have you sleeping like a baby, along with a 55-inch LCD plasma TV, a ®Bose radio/CD player with iPod adapter, a laptop-sized safe, an iron and ironing board, full-length mirrors and a walk-in closet with plenty of room for an expansive wardrobe. Each of the two master bathrooms features deep soaking Jacuzzi® tubs, steam and rain bar showers and Toto® Washlet toilets that transform your bath space into a private spa experience – leaving no real good reason to ever leave this most impressive Las Vegas suite! At an elevation of 1,500 feet, many of our Villa Suites offer spectacular views, especially at night while everything is lit up, with great daytime views of the resort grounds, surrounding Henderson, and the Las Vegas Strip itself. Enjoy the ultimate in luxury, comfort and outstanding value by choosing to stay at one of our impressive Villa Suites during your next business trip or vacation in Las Vegas. These private-pool suites provide all that you need to enjoy the most elegant, luxurious and decadent resort experience imaginable.